Which Honda Vehicles Have AWD? Honda vehicles with all-wheel drive grip the road and offer better control during bad weather near Chicago. Recent Honda HR-V, Honda CR-V, Honda Pilot, and Honda Ridgeline models all can be equipped with all-wheel drive, so read on for more details. This compact crossover SUV features a 4-cylinder engine and strong fuel economy numbers. Recent models offer ample interior space alongside efficiency and power. Check out Muller Honda Pre-Owned’s selection of discounted used models to see if the HR-V is on sale. Larger than the Honda HR-V, the CR-V features plenty of cargo space and an efficient engine. You’ll enjoy strong traction during Arlington Heights storms thanks to available all-wheel drive. The three-row Honda Pilot has long been a favorite of Gurnee families. 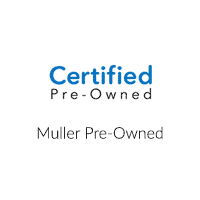 Muller Honda Pre-Owned regularly stocks both certified pre-owned and used models to give you a better selection. For a strong combination of towing capacity, rugged engineering, and all-wheel drive, this used Honda pickup is a smart choice. Recent models include an Intelligent Traction Management system which adjusts for snow, mud, and sand. Because Honda models utilize part-time all-wheel drive systems, it will only activate all four wheels when wheel slip is detected. That ensures better fuel economy than full-time four-wheel drive drivetrains. At Muller Honda Pre-Owned, we carry used and certified pre-owned Honda vehicles as well as used vehicles from other manufacturers. Contact us with any questions about all-wheel drive, or visit our showroom in Highland Park, IL.